Dietician Sheela Seharawat of Diet Clinic explains - recent scientific studies have shown that pistachios have a beneficial effect on stress-related acute reactions due to the many antioxidants found in pistachios such as resveratrol (also found in peanuts), lutein, quercetin or naringenin. These would help curb the harmful effects of stress. Thus, eating a few pistachios every day would reduce the effects of stress on blood pressure. Pistachios are also a significant source of magnesium (8% per 30g serving). The magnesium is an anti-stress treatment as it helps regulate blood pressure. 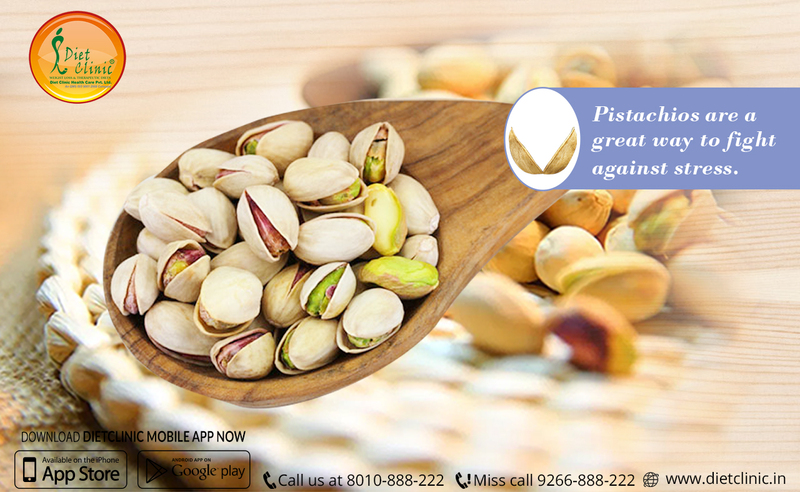 The pistachio, which is associated above all with snacking, has multiple nutritional benefits. It should be preferred unsalted and organic form say experts at Weight Loss Clinic.